John C. McGinley Tops Comedy-Horror ‘Stan Against Evil’!!! 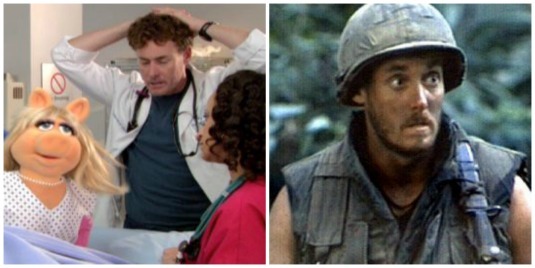 One of my favorite actors in the game, John C. McGinley is equally funny and fierce. It’s fantastic seeing whatever new project he’s involved in because he can do it all so well. The most perfect and obvious example would be to look at the characters in two of his most well-known projects. TV Series ‘Scrubs‘ and ‘Platoon‘. I love, or at least watch everything he’s been involved in. I’m going to have one more show to check out now that McGinley has signed for the lead in IFC’s new scripted series ‘Stan Against Evil‘. It’s a comedy-horror which means it’s going to be absolutely hilarious, especially if McGinley is starring. Also cast in the show is Janet Varney (‘Judy Moody and the Not Bummer Summer‘), and will be written by Dana Gould (‘The Simpsons‘). The series already has an eight-episode order for a fall premiere! The project follows Stanley Miller (McGinley, of course! ), a gruff, bitter aging New England police sheriff who is way too narrow minded of anyone from a different walk of life and who lost his cool at the wrong time, a very bad time – the funeral of his wife, and is no longer top dog. Much to his chagrin, his replacement is the just as strong-willed Evie Barret (Varney), and she clues him into the fact that his small New Hampshire town, is brimming with angry demons. Stan reluctantly joins her to fight them off. The topic and the players have tons of potential, but with a genre series like this, it’s going to be a craps shoot. It will either be excellent or awful. If I were wagering, I’d go all in predicting a hard eight. This entry was posted on Monday, April 18th, 2016 at 4:27 pm	and is filed under Television. You can follow any responses to this entry through the RSS 2.0 feed. You can skip to the end and leave a response. Pinging is currently not allowed. « ‘Total Bellas’ is a GO at the E! Network!